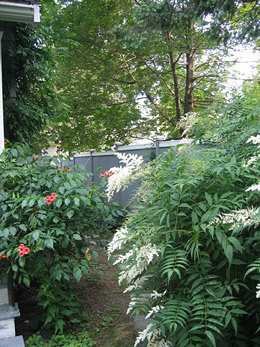 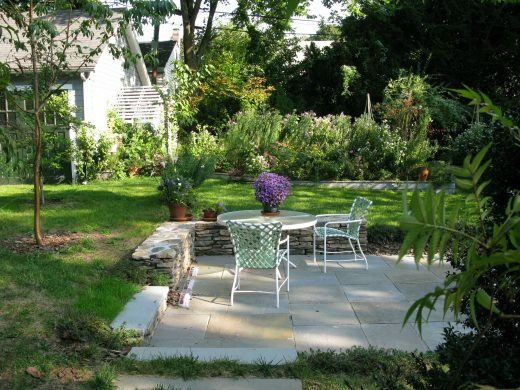 Over the past 20 years this small plot (80′ x 130′) has developed from a standard suburban landscape of grass, asphalt driveway and foundation plantings into a series of garden rooms. 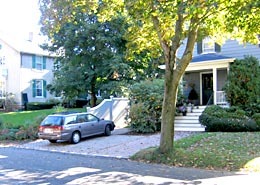 We removed the driveway and installed a brick parking area and walk in front of the house. 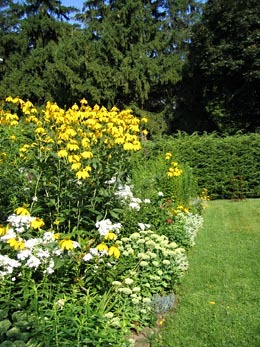 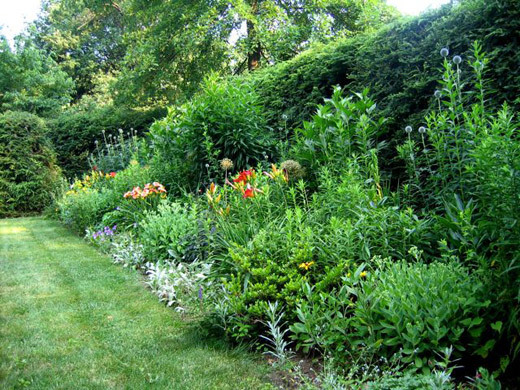 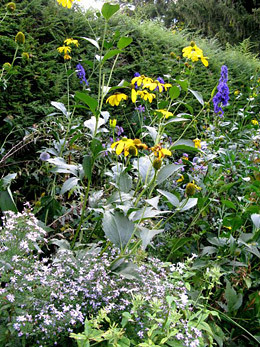 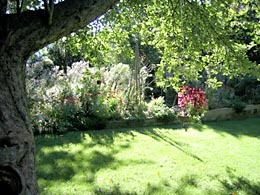 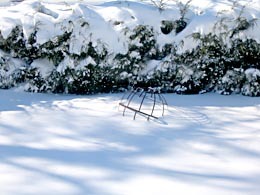 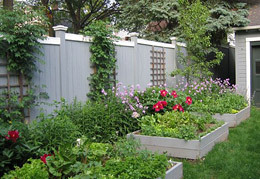 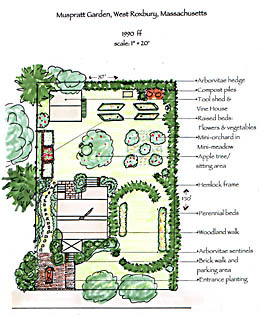 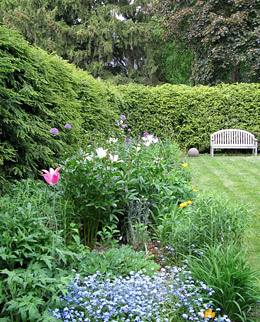 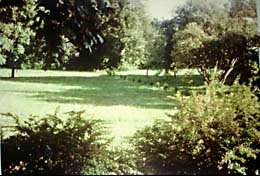 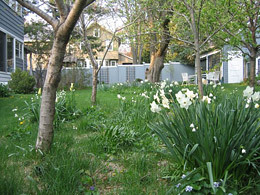 The narrow area (10′) between the fence and the left side of the house became a wildflower walk leading to a new perennial bed and an expanded lawn behind the house. 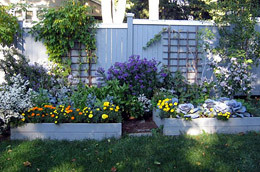 The garage became a tool shed with an attached vine house/potting shed. 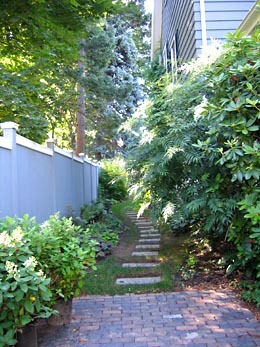 The existing foundation planting was incorporated into a new evergreen hedge which both frames the front lawn and encloses the private side yard. 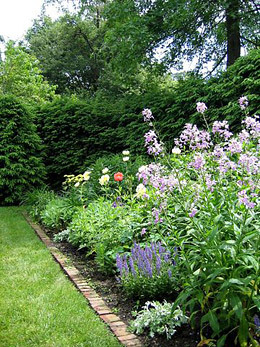 The arborvitae sentinels allow passersby a glimpse of the bright flower garden without compromising the owner’s privacy. 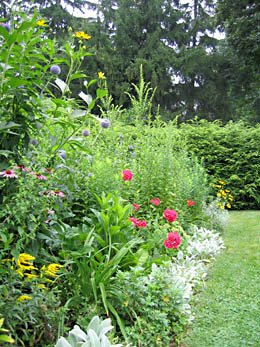 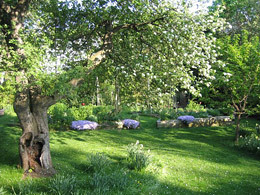 Passing through a hidden gap in the hedge, one enters the rear yard to find a tiny meadow and orchard of peach and cherry trees, compost piles, and raised beds with perennials and vegetables. 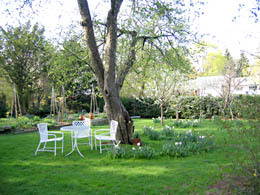 Hurricane Irene felled the old apple tree which sheltered the original sitting area. We replaced it with a sunken terrace. 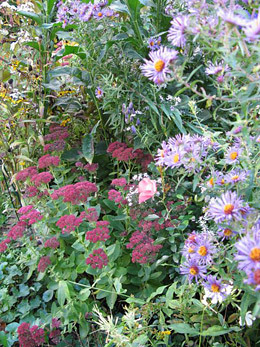 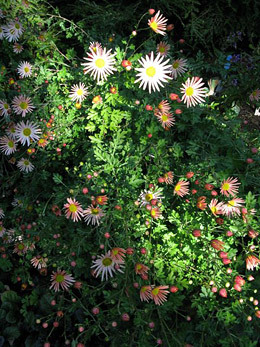 October bloom: asters, sedum and chrysanthemums.